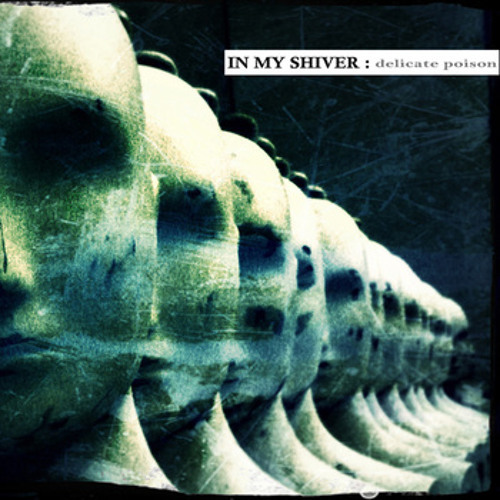 In my Shiver is an experimental black metal/shoegaze band from Camerino, Italy with conceptual themes about the loneliness and sadness of modern life, cityscapes, and a critique of the dominant culture. In 2009 In my Shiver released their debut album “Black Seasons” through Solitude and Despair Music in South Korea and now they present their follow-up album “Delicate Poison.” Combining oppressive and ferocious black metal with melancholic modern depressive rock, In My Shiver blends these sounds to create an unrelenting modern depressive classic with amazing riffs and melodies. In particular In my Shiver utilizes dissonant chord structures to create an uncomfortable and claustrophobic atmosphere and has a strong ability in using contrasts throughout the album which is only heightened by a professional sound quality, strong musicianship, and a diverse vocal performance. This album will appeal to fans of post-black metal, and 80’s rock/electronic music, and in particular fans of Katatonia, Solefald, and early-Ulver.